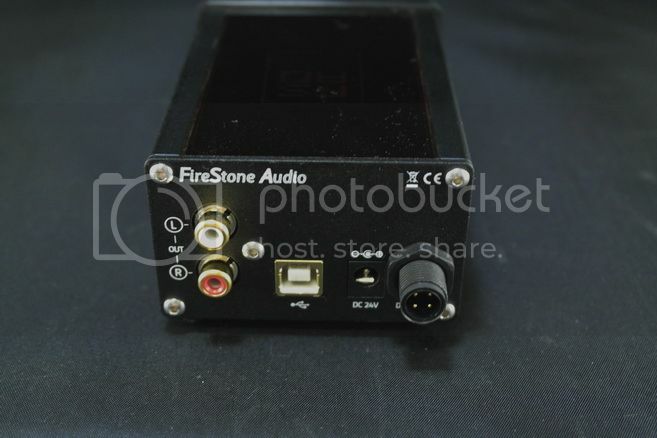 Recently I have looked into two of FireStone portable amps, but the company’s core business is really in their compact desktop rig. Here we have two more FireStone products waiting for assessment: The Custom Cute is a USB DAC that supports up to 24bit / 192kbps in resolution, priced around US$299. 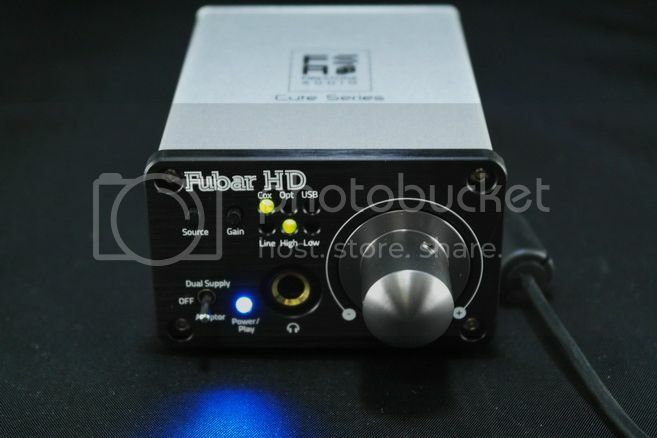 The Fubar HD is an all-in-one DAC + headphone amp that also supports up to 24/192 with S/PDIF input or 24/96 with USB, priced around $400 but can be found for half as much if you look around. Amplifier Structure: Class B Push-Pull, Capacitor-less. USB: 24-bit, 44.1kHz, 48kHz, 96kHz. 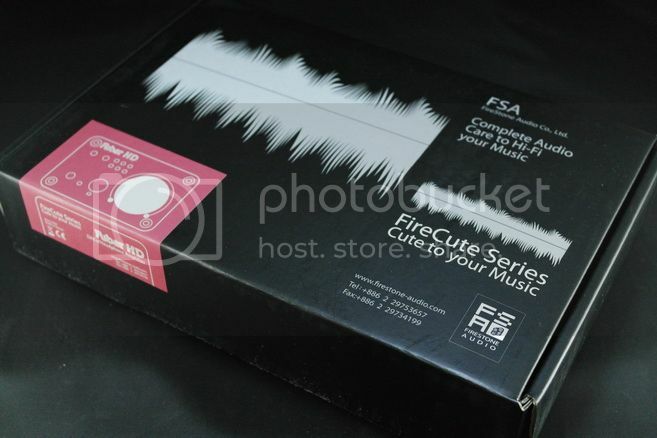 Both Custom Cute and Fubar HD comes with warranty card, simple user manual, RCA cable, AC adapter, an Allen key. The RCA cable on the Custom Cute however is much better than the normal variant that included with Fubar HD. The inclusion of Allen key is great – but even better is that almost all the screw can be opened by just that Allen key. FireStone designs their amp and DAC with socketed opamp so opamp rolling is definitely something worth looking into. The overall build quality is excellent. 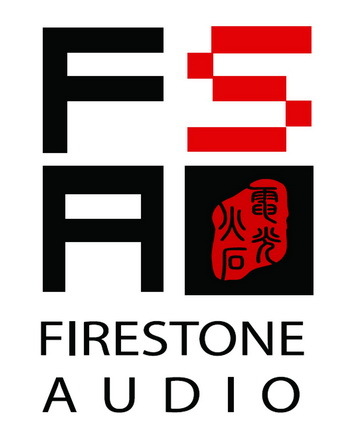 I have been a FireStone user for quite a few years now (in fact, my first desktop amp is a FireStone) and they have always been able to maintain high build quality. Custom Cute is just a USB DAC with RCA line output so the design is quite simple. On the front, there is nothing but the power switch. All of FireStone ‘FireCute’ series (including the Fubar HD) can be used with either the included AC switching adapter or with the optional Supplier HD dual power output linear regulated power supply. The power switch on the front will let you choose which to use. 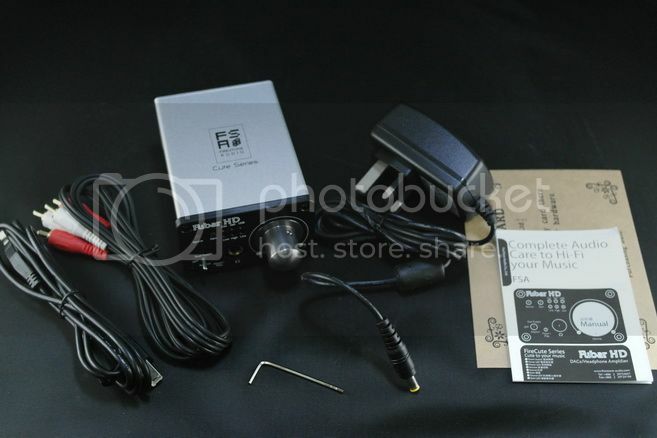 Since I didn’t have the Supplier HD, the review will be based on the stock AC adapter, which actually isn’t bad at all – it outputs 24V DC, and judging from the internal power section (which is similar between Custom Cute and Fubar HD), it is split into a +/-12V dual power line inside the device. 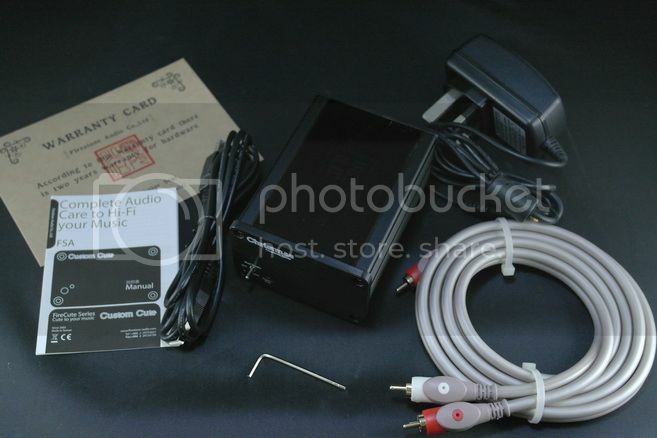 On the back, you have the RCA-out, USB-in as well as power-in for both stock AC adapter and Supplier HD. When Custom Cute is powered up, the top of the housing, which is acrylic, will light up with FireStone logo (or a Christmas tree if you got a Christmas edition). 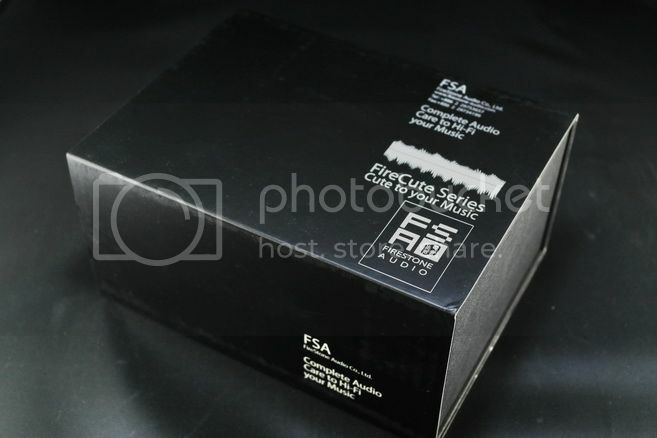 What is really interesting is however inside Custom Cute, but we will keep that discussion for the SQ section. Fubar HD is a bit more complex, considering it is more of a jack-of-all-trade. On the front, it has the same power switch, a 6.3mm stereo jack, volume control, two rows of LED indicators, a source selecting switch and a gain selecting switch. On the back, same two power inputs, USB-in, both optical and coax S/PDIF input, as well as RCA jack that doubles as input when Fubar HD is in analog ‘line’ input mode or as line-out when Fubar HD is set to receive digital input. 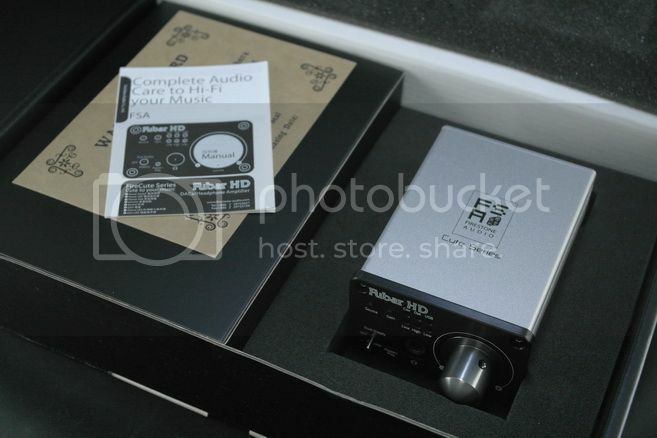 This means Fubar HD can be used as either a standalone headphone amp or an amp + DAC combo. There is really no gain to speak of on Custom Cute, given it only outputs line signal. It is however totally silence as far as hiss is concerned. The power section mentioned above is quite good at keeping any switching ripple noise inaudible, and the USB signal is fully isolated from the DAC via a TI ISO7240 digital isolator chip so no dirty USB noise or ground loop will affect the performance of the DAC. Fubar HD has 2 different gain setting. In Line input mode where Fubar HD is amp only, it is on fixed +15dB gain. With digital input however, you can select either +15dB (high) or +3dB (low) gain on the headphone-out. The line-out will not get affected by the gain setting. One of the interesting implementation on Fubar HD is that it has two AK4396* DACs on board (*which is considered as one of the best DAC among AKM line-up), yet they are not in dual-mono configuration. Instead, one is working only for the headphone-out while the other is only for the line-out. So theoretically you can listen to both output at the same time and they will not degrade each other signal. Hiss is also not a problem with Fubar HD. Even on +15dB gain, hiss is barely noticeable on very hiss prone IEM even when the volume pot goes pass 3 o’clock. RMAA measurement on Custom Cute shows no issue. It is flat from 20Hz to 20kHz with very low noise. The manufacturer published spec actually show similar performance to the ESS Sabre ES8023 based iFi Audio iDAC and in fact, just like iDAC, the RMAA is also near perfect as it too exceeds the resolution of my measuring rig. Line-out @ 1kHz is about 1.93Vrms, which is quite good. RMAA result on Fubar HD however doesn’t fare as good as Custom Cute – well, at least at first. While the line-out is clear and issue-free (Flat FR curve, fairly low noise, line-out @ 1kHz is 1.89Vrms), the initial result on the headphone-out reveals a high level of noise, and with some of the worst IMD figure I have even seen on any amp. At first, I thought it is a side effect of being a class B amp, but that doesn’t explain why FireStone will design such a bad amp section. After extensive testing (and thankfully for the opamp rollable design), the smoking gun turns out to be the stock main opamp OPA2227. While it is working, it is out-of-spec and thus producing unusually high level of noise. After replacing the stock OPA2227 with one of my spare, the amp goes back to normal and the RMAA result looks much better. Defect opamp often creates a lot of distortion and easily noticeable just by listening. But the stock OPA2227 isn’t as bad sounding as being fully defect. It does however sound ‘off’ with a peculiar tone. Chip manufacturers often mark a chip that doesn’t meet tighter spec as lower end model. This OPA2227 should have been one of those. One area that doesn’t measure quite as well is the output impedance, which is around 10 ohm. Due to the high output impedance, the current output to my usually 23.5 ohm and 47ohm ohm dummy load are not nearly as high as I’ll like it to be. However, it is still more than enough to drive most headphones except for those with extremely low impedance. Subjectively listening wise, Custom Cute is just as good as any ES8023 based USB DAC I have, including iDAC and ODAC. Like iDAC, it uses similar XMOS solution to support 24bit, 192 kHz resolution with asynchronous USB mode. The DAC chip inside the Custom Cute is the very popular Wolfson WM8740, and some of you might wonder how this previous generation DAC can compete with the latest ESS Sabre. The key really is in the implementation. Many of you probably have come across a WM8740 in some of your gears by now, and I’ll bet most of them never sound anywhere as good as an ESS Sabre. But this is not the fault of the WM8740 – with a good design like Custom Cute, even this old dog can have its day of glory. Volume matched and paired with the O2, I hear the same clean, resolving and highly transparent sound from Custom Cute as I do from iDAC. The only difference is that Custom Cute has slightly more textured mid while iDAC has slightly better dynamic. However, these are very subtle difference and not something easily distinguishable without serious A/Bing. Regardless, the level of sound quality is very much comparable. 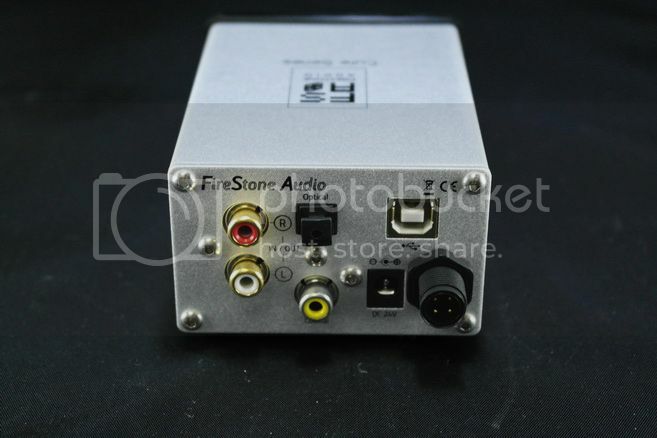 I’ll have to praise FireStone on a job well done for creating an excellent USB DAC, and perhaps also for showing that ESS Sabre is not the only answer. The sound quality on Fubar HD’s line-out is also very good, just a small step down from Custom Cute and iDAC. The real disadvantage I can hear is an obviously smaller soundstage, so separation and positioning is not as wide and grand as Custom Cute or iDAC. If I have to make up a number, I’ll say its soundstage is around 70%~80% the width of Custom Cute / iDAC – not bad per se but certainly not spectacular either. In exchange for a smaller soundstage, Fubar HD’s line-out offers a slightly richer, more ‘room-filling’ tone than the other two. On the other hand however, the headphone-out is not nearly as good as the one on iDAC. 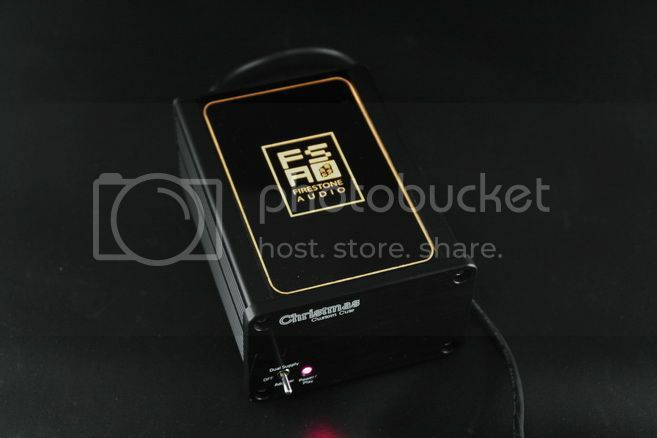 It narrows and compresses the already limited soundstage furthermore and pulls everything more upfront, giving me the impression as more of a mid-end amp. The good news is, when I swapped out the stock OPA2227, I also took the time to measure and listen to other opamp that I have, namely AD8620, OPA2134, AD8397, LME49720 and MUSE01. Besides OPA2134, which is about on par with OPA2227, the other all sound better than OPA2227. AD8397, which measured the best, turns out to be the best sounding opamp as well. It is able to restore the lost soundstage that has been taken away by OPA2227’s forwardness and really open up the Fubar HD to the next level. It won’t beat an O2 or iFi Audio iCAN as a standalone amp, but will certainly make it competent enough to accompany the on board DAC section. For any Fubar HD owner or potential buyer, it is definitely worthwhile to do some opamp rolling and gives the amp section a chance to shine, or at least not be the weak point of the device. With a good opamp, Fubar HD can be the Swiss Army knife that it is meant to be. 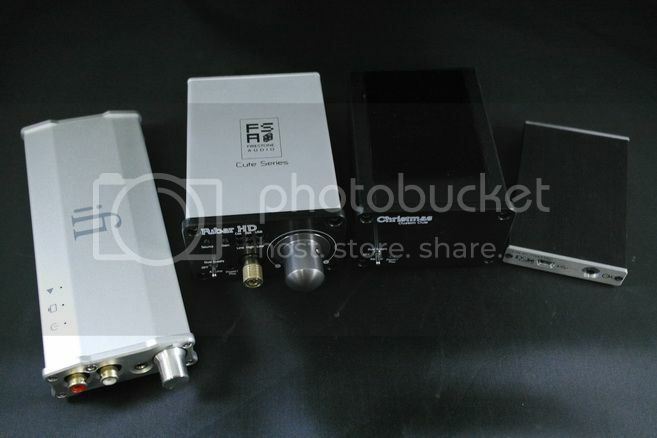 Size Comparison (from left): iFi Audio iDAC, Fubar HD, Custom Cute, JDS Labs ODAC. Even though Custom Cute is about the same price as iDAC and doesn’t have a built-in headphone amp, I can’t fault it as a great sounding USB DAC. Fubar HD will be more of a tough sell on its original MSRP. Though it is capable of multi-tasking, it lacks just one killer feature that set it apart from the competition and it will take some works to get the best out of its headphone-out. But if you can find it on a cheaper price (*hint: Amazon), it will be quite a good choice for a minimalist’s setup. Oh, did I mention that opamp rolling can be quite fun as well? A thanks to FireStone Audio for the samples. 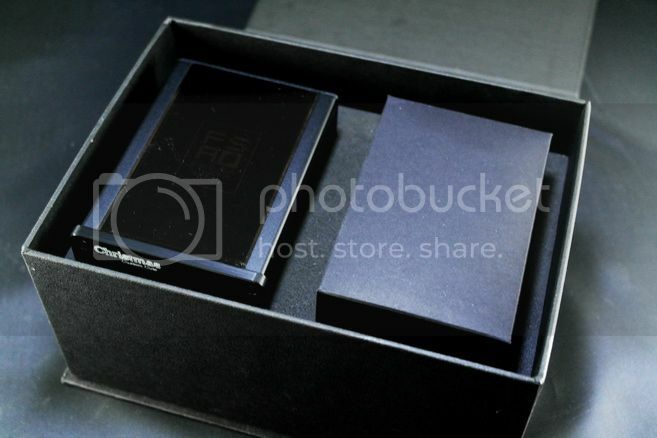 [Impression] BBK Vivo X1 – the HiFi Smartphone?